Similar to what they did in the 2018 NFL draft, the New York Giants will likely target an offensive tackle in the second round of the upcoming draft. With the 37th overall pick, just squeaking outside of the first round, there will be plenty of top tier talent remaining to choose from. Currently, the Giants feature Chad Wheeler at right tackle, the only position on a restructured line that represents a potential weak spot. According to PFF, Wheeler ranked as the No. 78 tackle in the league – essentially the worst starter in the entire NFL. Both his run and pass-block grades were horrendous, which can only indicate one thing. General manager Dave Gettleman has a plan to replace him with a potential draft pick. With free agent Mike Remmers making a visit to the Giants, it’s possible they choose to fill the position with a veteran. However, they would be wiser to utilize their second-round pick on a player like Greg Little or Dalton Risner. 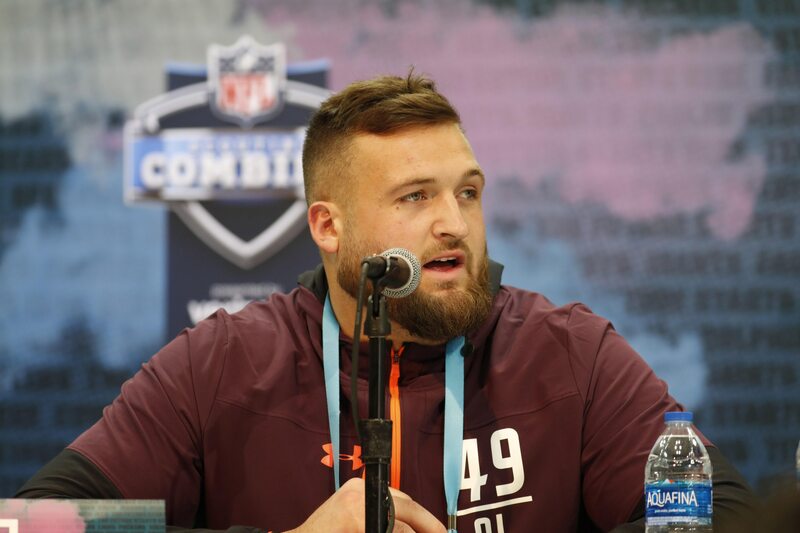 New York Giants: How to Little and Risner stack up? If Little manages to slip to No. 37, the Giants shouldn’t hesitate to pull the trigger. He’s the No. 4 ranked tackle in the upcoming draft coming out of Ole Miss. While his 40-yard dash time didn’t turn any heads – 5.33, Little has an ability to get off his blocks very well with agility. Essentially, Little is a great run blocker who can move to the second level with quickness, but he’s weak in pass protection at times against stronger opponents. He can be pushed back and overpowered, which will be a significant problem at the NFL level. If he can further develop his balance and core strength, there’s no question he can be a solid right guard for the Giants. Risner, on the other hand, is as consistent as they come. He’s about average at every skill, but it provides him with the benefit of regularity. Being able to go through every play and not falter too frequently is an impressive ability, and if he can refine his skills to a point where he’s above average, his value skyrockets. The one attribute that Risner dominates is body control. He has fantastic balance moving off of blocks and can stick with edge rushers and blitzing linebackers well. He wasn’t the fasted OL at the combine clocking in at 5.3 in the 40-yard dash, but he has plenty of mobility to succeed at the next level.